Every year, Forbes magazine ranks the highest-paid “front of the camera” celebrities. These rankings are based on stars’ pretax income, this year from June 1, 2016, through June 1, 2017, calculated from box-office earnings, music rankings, book sales, two paycheck stubs, how they ball out at the club and their mamas’ bragging at church. 1. P Diddy: How is P. Diddy No. 1? Forbes reports that the bulk of the $133 million he earned this year comes from Global Brands Group dropping $70 million for a majority stake in Sean John apparel, which is a pretty good deal, considering that GBG could have bought only two—maybe three—pairs of Sean John jeans for that price. Also, does Biggie get any of that money? Did Puffy/Puff/P at least give Mace a few pair of jeans? Shouldn’t Shine at least get a sweater? I’ve loved P. Diddy since he kept his nickname sequestered in quotation marks, but this scares me. I don’t mind his success, but this news will only cause more rappers to start their own clothing lines. Every time I’m in Macy’s, I never see anyone shopping in the section that sells Lil Wayne clothes, and aside from that one time he wore jeggings at the MTV Awards, I’ve never heard a soul say, “Did you see Weezy’s outfit?” Just prepare yourselves to see Lil Yachty hair beads in every Sally’s Beauty Supply. Those Uzi Vert Rompers are gonna be lit, though. 4. Drake: I don’t think this should count—because Drake is Canadian. A take of $94 million in American money could be a billion in Canadian dollars, or $7.43 (I don’t do math very well—I’m American). In any case, that’s a lot of money for “Emo Brown,” the hip-hop, light-skinned version of Keith Sweat. 6. 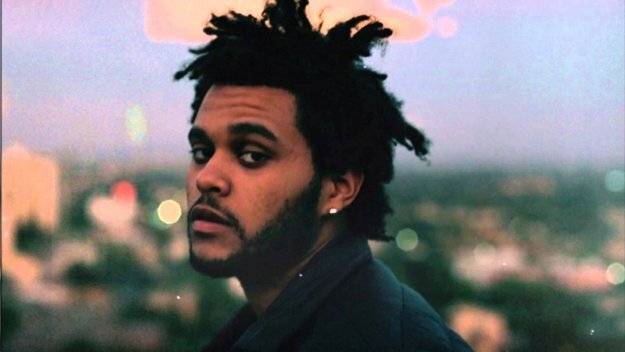 The Weeknd: I think it was the haircut. Most of the Weeknd’s $92 million last year came from the fact that he saved a lot of cash not buying combs and hair grease. His music is fire because it is romantic thug music, as opposed to Drake’s, which is as nondescript as bathroom-sink lukewarm faucet water running over celery and carrots wrapped in cabbage on a white paper plate. 10. LeBron James: I guess $86 million proves winning isn’t everything. 13. Justin Bieber: I know he’s not black, which is why I need to know if we can get some of that $83 million back in cultural-appropriation tax. 22. Dwayne “the Rock” Johnson: I always wondered if we should claim “the Rock” or not; then I found out that Dwayne’s father—wrestler Rocky Johnson—descended from Black Loyalists—slaves who rose up against their American masters and fought with the British during the Revolutionary War. Who knew? 25. Kevin Durant: KD made the $60.6 million. His mother wasn’t on the list, but I’m sure she was close by. She’s the real MVP, you know. 40. Calvin Harris: I don’t even know who this guy is, but I saw his name and was proud to see a black man pull in $48.5 million. I’ll just look up his bio and tell you that ... what? He’s not black? But his name is Calvin Harris! Not only is he white, but he’s super white, with red hair. Also, he once dated Taylor Swift. I bet they only ate white bread dipped in milk—because mayonnaise was too spicy for them. Michael Harriot is a staff writer at The Root, host of "The Black One" podcast and editor-in-chief of the daily digital magazine NegusWhoRead.